Cast your mind back to 2006 and this. Well #ItHappenedAgain but minus the Lasagna. Our friends from round the 406 popped over for a pre weekend festivity in our first (I think) Friday night game for while (ever ?). Yesterday we welcomed one of the new teams to the Premiership. I for one, was not sure of victory as we had had a tough game at Leicester during the week, which was lost in extra time. This was born out by the WHU start which was leggy to say the best. Noble and Kouyate especially were out of sorts and just looked knackered. Just as well we are not still in Europe ! Noble summed this up just before the 10 minute mark, by directing a lazy pass across our goal looking for Tomkins. This was intercepted by Brady who coolly opened the scoring for the canaries. West Ham huffed and puffed throughout the half. Just after the half hour mark we managed an equalizer when Payet and Sakho combined well to finish with a tap in to make it 1 – 1 at half time. No subs at half time for WHU , which surprised me, as I wouldn’t have been amazed to see neither Noble, Koutaye, or Jenkinson come out for the second half. The second half was very much more of the same in what was becoming a easy to forget game. Nathan Redmond came on near the end and I imagine thought he had scored the winner when once again Noble fell short to allow Redmond’s shot to find Adrian’s bottom corner. So, a point at home keeps us in 3rd and 1 point closer to Man City, but Arsenal, Liverpool and Tottenham, are 2 points closer to us. Fairplay to Slaven, who had no problem taking off our Captain, as he was having a shocker, maybe a little earlier next time. He also finished with 2 up top, which is encouraging, but with Moses and Payet, you will always have some sort of forward presence. The Norwich fans seem to be turning into some sort of Palace style “Ultra” support model, which is funny if nothing else. MOTM was both goalkeepers who kept the goals with some great saves, especially Adrian with his face, which must of stung a bit. With all these saves you would think the game was a classic, it really wasn’t. It was a bit of an attritional game and the score was about right, although Norwich may feel they shaded it, but they did sacrifice the lead twice. West Ham’s journey into Europe continues unabated as the Hammers faced Birkirkara FC of Malta last Thursday. I was late in getting my ticket application, so for the first time in my life I was sat in the East Stand, the famous “Chicken Run”. This meant watching football side on, as I was near the half way line, and once I got used to it, I actually enjoyed it. You do miss some of the in box action, but you do get a good idea of the ebb and flow. This weeks opponents were a big step up from our last round match up, and seemed to be organised and have a modicum of talent. The game itself reminded me of a 3rd round FA cup tie. 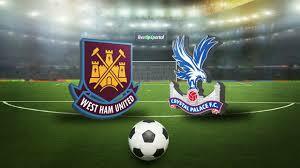 The plucky lower ranked club were all over the pitch closing down WHU, and kept all their men behind the ball. That said, a stronger WHU team than played in the previous round could not breach the defences. We even had Maiga on the pitch. Like Zarate (who also played) I thought he was gone, but there he was, in the claret and blue. He had a good first half, eliciting a world class save from their keeper, and hitting the post. 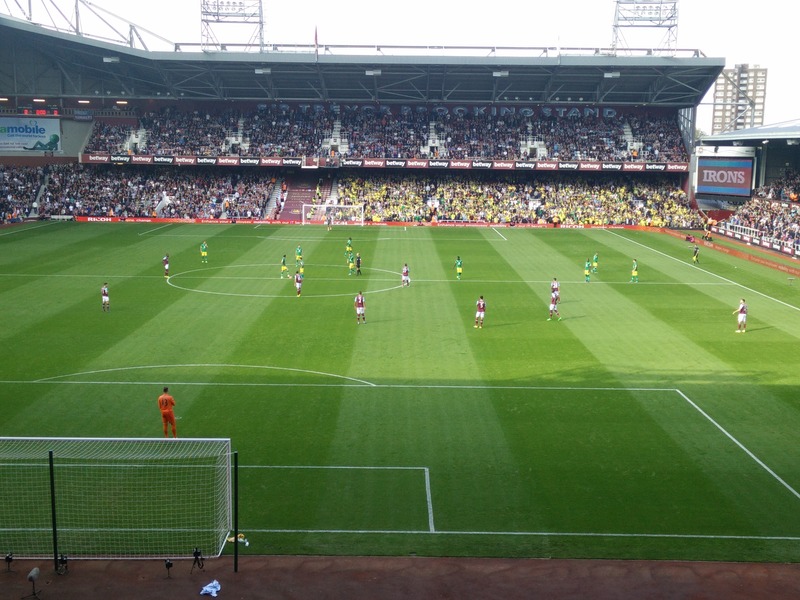 The were some long shots from Noble and Amalfitano, and that was that for the first 45 minutes. FCB has no shots on target at all, and were limited to 2 or 3 half hearted attacks. The second half was more of the same, but it was becoming apparent where the issues were. Maiga was subbed for Lee, but we still were not getting the ball forward. The reason being Kevin Nolan was shocking. He was slower than usual, took an age to turn around, and even seem to struggle with passing the ball into peoples path. Everything was straight at them, making them stop and in turn getting closed down. Consequently we had to wait until time added on, until Tomkins got this second European goal of the season, after the keeper failed to deal with a corner. Overall a professional performance from the Hammers and I expect next week’s away leg to be an easier proposition, as the adrenaline will have left our opponents, and the need to open up if they are to stand any chance. The next round, we could be up against Inverness which for personal reasons will be interesting. Can you see my season ticket seat ?